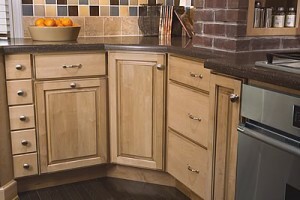 Because the kitchen serves so many purposes in most homes, the design and layout of your kitchen cabinets is important. Style and décor must blend with practical functionality to deliver a truly effective kitchen storage space. Our experienced kitchen designers are ready to work with you to develop the dream you have for your new kitchen into a beautiful, functional reality. We start by evaluating your kitchen usage, everything from how often meals are prepared, who prepares them, the size of your family, how often you entertain – any item that may affect how your kitchen will function. We take into account height restrictions, aging-in-place factors, the age of your children, and your kitchen remodeling budget. Then we develop our exclusive “StellaView” three-dimensional computer-aided rendering that shows your new kitchen layout, with appliances, cabinets, flooring, lighting all in place just as they will appear in the finished room. This gives the opportunity to “tour” your kitchen before we even begin construction, making adjustments and changes up front. Stella Kitchens expert design, project management and kitchen installation teams then take the design and bring it to fruition, delivering a fully functioning, stylish and convenient kitchen cabinet system that you’ll enjoy for years to come. 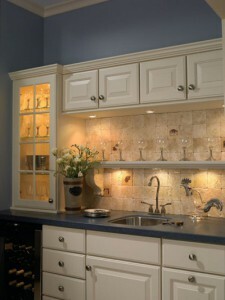 Visit our showroom in Norwell to see our full line of kitchen cabinets. Or call us today at 781-659-2100 to schedule a FREE in-home consultation and estimate for your kitchen cabinet project. Or simply fill out our on-line request form and we’ll get right back to you!